Why Can't Rip DVD Brave? How to Rip and Copy Brave DVD to MP4, AVI, iPhone, iPad, Android, etc? Brave is one of the universally-accepted Disney movies. It was awarded Academy Awards, Golden Globes and BAFTA Awards in Best Animated Film. Millions of people have included Brave DVD into their movie collection for enjoying it later. Does this mean that they can only watch Brave on DVD relying on DVD player and driver? Of course not. They can rip DVD Brave as digital files in MP4 or others for playback on PC, Mac, iPhone, iPad, Android and more devices conveniently. However, ripping Brave DVD seems to be a difficult task. According to the feedback online, many users can't rip Brave DVD with the DVD rippers in their hands, including open source program HandBrake, as well as some commercial ones. How to Rip Brave DVD on PC/Mac Successfully? WinX DVD Ripper Platinum can remove all copy protections in Brave DVD and rip it to MP4, AVI, MOV, 3GP, iPhone, iPad, Android, etc. without any troubles. Why Can't Rip Brave DVD? As a Disney movie, Brave DVD is undoubtedly strictly encrypted by copy protection schemes, which is the main reason for "can’t rip Brave DVD with ordinary DVD ripping software". HandBrake is able to rip DVD to MKV and MP4, but limited to non-protected DVDs. If you want to rip and copy protected DVDs like Brave DVD, HandBrake will never do you a favor. Although some commercial DVD rippers are advertised to be able to rip protected DVDs, they are always experiencing troubles while ripping Disney DVDs. 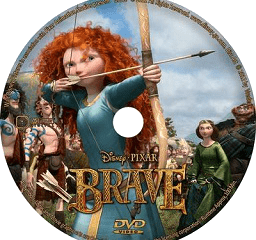 DVDs released by Disney including Brave DVD usually come with complicated protection technologies, 99 titles and large file sizes over 40GB, which brings big challenge to DVD rippers to perform DVD rip and copy. Meanwhile, heavy structural protection is applied to Brave DVD. So when ripping Brave DVD, various errors may appear, like can’t read/load Brave DVD, unable to detect the correct main title, Brave DVD ripping get stuck, etc. Though some users have finished Brave DVD ripping, they may find that the output audio is out of sync with video, the output is out of order, etc. Good news is that some powerful DVD rippers are out there ready for helping rip Brave DVD without any problems. And WinX DVD Ripper Platinum is one of them. It has been proved to be able to rip and copy Brave DVD flawlessly as well as rip newly released protected Inside Out DVD. Solution to Fix "Can't Rip Brave DVD"
Apart from supporting regular DVD ripping, WinX DVD Ripper Platinum is also available to remove any copy protection from DVD, including Disney Brave DVD, and rip the DVD to MP4, AVI, WMV, MOV, FLV, 3GP, iPhone, iPad, Android Samsung/Amazon/HTC/Google, Sony, Microsoft, etc. It is able to load DVD and detect correct DVD main title easily. And thanks to Super Encode Engine, Hyper-threading tech and Multi-core (up to 8) utility, it exports the output at 3-5x faster speed than common DVD rippers in the market. No quality loss. No out of sync issue. 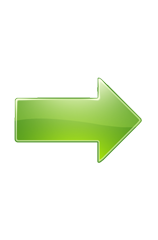 Try this fast DVD ripper and escape from the situation of "can't rip Brave DVD". How to Rip Brave DVD without Troubles? First of all, download and install WinX DVD Ripper Platinum proper version on your computer to get ready. Step 1. Load Disney Brave DVD. Insert Brave DVD to DVD-ROM, run the DVD ripper, and tap "DVD Disc" button to input Brave DVD. Tip: You can also load Brave ISO file or VIDEO_TS folder for DVD ripping. Step 2. Pick an output. From the auto pop-up Output Profile window, you are supposed to specify an output you like. If you want to rip Brave DVD to MP4, just choose "MP4 Video" as the output. Click Browse button, then you can choose a folder to store the movie ripped from Brave DVD. Step 4. Run Brave DVD ripping. When all settings are done, simply tap RUN button to begin ripping Brave DVD. WinX DVD Ripper Platinum: Advanced version of free WinX DVD Ripper. 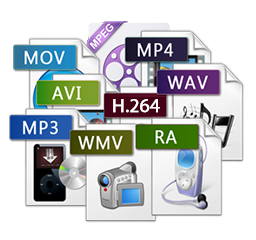 The Platinum version can convert any DVD to MP4, AVI, MPEG, MOV, WMV, FLV, M2TS, TS, iPhone, iPod, iPad, Android, Samsung, HTC, Microsoft, Google, Sony, Nokia, Asus, Acer, etc. at fast speed in excellent quality. Meanwhile, it makes perfect 1:1 DVD to ISO image/DVD folder copy and clone DVD to multi-track MPEG2 file with 5 minutes only. Constantly update to defeat upcoming DVD copy protections.